“My greatest passion has always been the water. 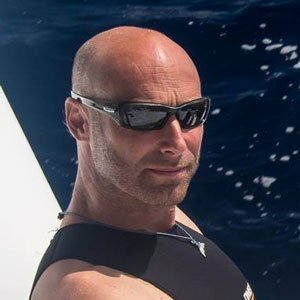 I’ve dedicated my life to exploring new ways of being in water and sharing my knowledge with others including swimming, diving, fishing, underwater hockey, meditation and aquatic therapies. World Champion Freediver Erez Beatus established Apnea Australia in order to expand this growing sport throughout Australia. Founder of Apnea Internationl (AI). Established the Israeli Freediving team in 1998, coached and captained the team in four world championships. In 2001 held the CNF (constant weights without fins) world record along with Trevor Hutton from South Africa. Vice president for A.I.D.A in 2006. Certified international judge for competitions and record attempts (national and world records). Taught over 2000 students globally. Certified Hydrotherapist (rehabilitation in water). Healingdance Instructor and Therapist working with individuals in the water in various techniques (watsu, waterdance, healingdance).